The USA Today Money section recently ran a story advising Baby Boomers to “test-drive” retirement while they are still working. That’s good advice, I thought, and I’m living it. 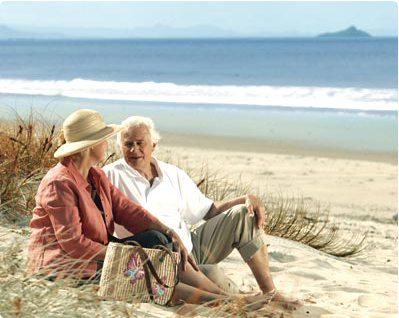 Why does it seem that every retirement ad features a couple on the beach? When I left full-time employment a year ago to start my own PR consulting firm, I didn’t view it as “pre-retirement”; but, in reality, parts of my new life are strikingly similar to a retiree’s life. So similar that some people who see me during the day just assume I’ve taken early retirement. I work from home. I have flexible hours. I’ve carved time into my schedule to exercise, do volunteer work and write this blog. Sounds like a retiree’s life, doesn’t it? But I still have to make money. And that’s the rub. I have to build into this “life of leisure” client visits, actual work and the time I’ve committed to professional groups like PRSA and IPRA. I’m busier these days than I was when I worked full-time! Know your expenses – You’d be surprised how many people are clueless when it comes to budgeting. This is absolutely essential for anyone thinking about leaving the security of full-time employment to go back to school, begin a new career or start a business. I would strongly urge becoming debt-free before making a major lifestyle change. Retirees, especially, need to have enough income to last for decades. Know your assets – This includes long-term investments, the value of your home, 401(k) plans, pension benefits, whole life insurance, etc. Younger folks like me can’t draw on retirement funds just yet, but we still need to make sure there will be enough to last when we stop working. Without the right mix of assets to rely on, your retirement may get pushed off indefinitely. And you don’t want that! 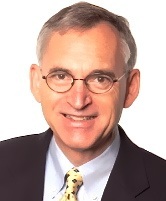 Know your emotional needs – We’ve all seen it, those poor souls who never seem to adjust to retirement. They are generally the workaholics who had no lives outside the office to begin with. They seem listless without work and become depressed. Make sure this doesn’t happen to you. Put some balance in your life! Redefine retirement – People today are living longer, staying more active and are less inclined to totally stop working at age 65. So more Baby Boomers are looking for part-time jobs and making career changes later in life. I chalk up my own pursuit of an “indie” PR gig as part of that trend. I hope to build my business to the point where I can remain “semi-retired” well into my old age. Wish me luck! This entry was posted in Careers, Goal setting and tagged assets, budgeting, expenses, income, retirement, USA Today. Bookmark the permalink.